Frisco Kids Consign – Fall 2015 Your favorite local shopping event is back! It’s that time of year again! The wonderful ladies of Frisco Kids Consign, Kristin Gregg and Jaclyn Whisenant, offer you the opportunity to clear out your closets, and make some extra dollars from your gently used items. As moms, we watch our kids grow like weeds from one season to the next, and we’re constantly purging clothes when they no longer fit, or getting rid of items they no longer want. In many cases, some of those items are still brand new. This sale is also the opportunity for you to shop high-quality, gently-used items at a fraction of store retail prices. As an example, consider all the sports equipment you purchase for after-school activities. It can become quite expensive. When one child decides to no longer play a particular sport, there’s always another family looking for a bargain on that same equipment. Here’s your chance to clear out the equipment your kids no longer need and/or purchase the items they do for a really nice price. Taking place over four days, this Fall/Winter Frisco Kids Consign weekend kicks off with a Pre-Sale Event on Thursday evening October 15th, where volunteers, first-time parents, parents-to-be, new moms, and grandparents have exclusive access to shop. The sale runs through Sunday, October 18th, ending with a special private charity and Half-Price Sales all day long. 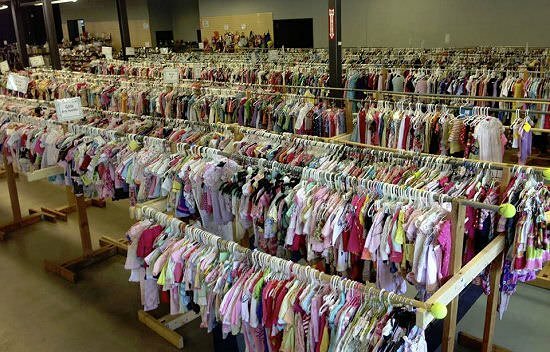 At the end of the sale, Frisco Kids Consign will host a special sale event for the Frisco Moms Sister Moms Group, a hand-me-downs project serving local single and struggling moms in our community that need help the most. Items that have not sold at the Frisco Kids Consign sale, and are marked as “donate” by consignors, will be set aside for a very special private sale for these families on the Sunday evening following the event where they can shop for free. So, if you are looking to turn those lightly worn, outgrown items in your child’s closet into cash, then this is the event for you! And, your neighbors will thank you for not holding your own garage sale. As a consignor, you earn a high percentage in sales, but can also increase your percentage earned by volunteering for short shifts during the sale. 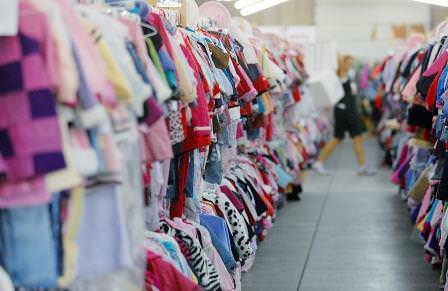 Just mark your calendar this weekend for some major shopping and great savings on those baby and kid essentials. Frisco Kids Consign is the perfect place to score super deals on the brand-name children’s clothing and baby gear you love. It presents a unique experience for both sellers and shoppers twice a year and entry is completely FREE! Sunday, Oct 18th – 11:00 AM – 3:00 PM HALF PRICE sale all day.